Poaching is a brutal affair, leaving dead in its wake not only elephants and rhinos killed for horns and ivory, but also those simply caught in the way of the illegal hunt. A few animals, like antelope, are killed to be eaten by poachers; others, like vultures, are poisoned; still others, like dung beetles, die once a lack of elephants causes their habitat to crumble. Exacerbating the problem is that a poacher's weapon of choice is no longer just an AK-47: There's also poison. There is a reason the United States, by and large, has outlawed poisoning wildlife, says George Wittemyer, a conservation biologist at Colorado State University, to The Dodo. Cyanide does not disappear after it fells an animal. If a team of poachers poisons a watering hole, Wittemyer says, "that just kills everything." 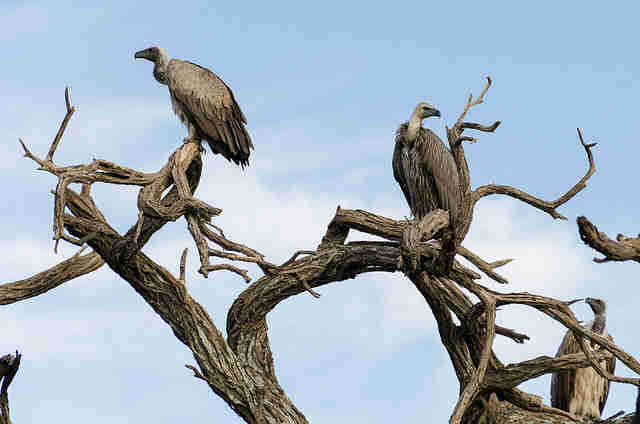 Poison has hit African vultures particularly hard, writes The Peregrine Fund wildlife biologist Darcy Ogada in a recent New York Times opinion piece, in part because a circle of vultures above a dead elephant can beckon law enforcement. In 2012, 191 of these scavengers were found dead in Zimbabwe, alerting conservationists to the birds' plight. In the two years since, six other poisonings have resulted in the deaths of 1,700 vultures. 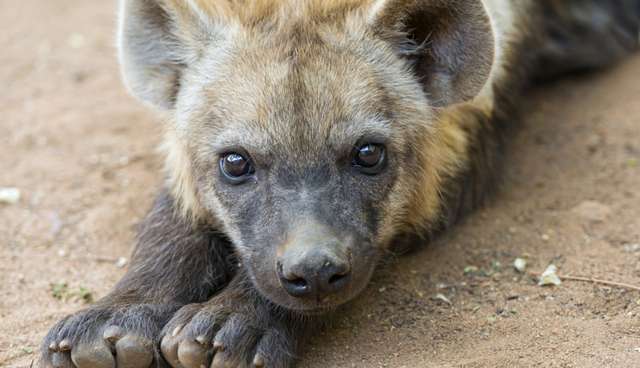 Jason Bell, of the International Fund for Animal Welfare, tells The Dodo that poison claims not just vultures but "hyenas, lions, leopards, cheetah, jackal." 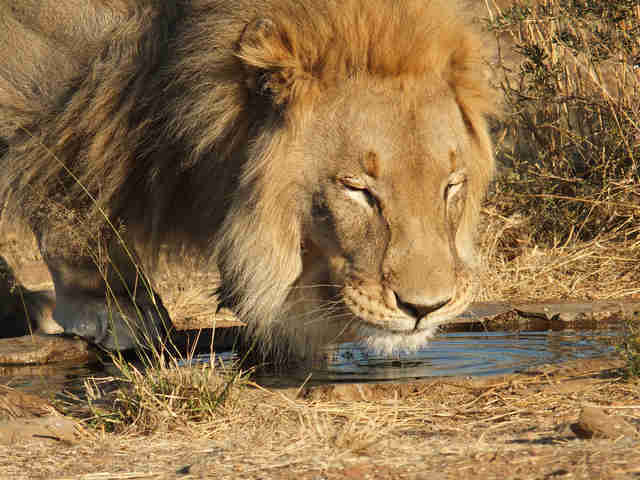 And poachers who spend weeks hunting, he points out in an email, are not content with pursuing elephants; they kill antelope and other game to eat, as well as animals they perceive as threats, like lions. In poaching's war on wildlife, the casualties go beyond those animals killed by bullet or toxin. As megaherbivores, elephants and rhinoceroses play key roles in their respective environments. Remove an unsustainable amount of these animals - as poachers are doing now - and the effects can ripple along the strands of the ecological web like a shockwave. "Elephants play a really critical role in the balance between woody and savanna ecosystems" Wittemyer says. Elephant dung contains a tremendous number and variety of plant seeds, which the pachyderms can deposit up to 35 miles away from where they ate fruit. And after fire (and humans), elephants are one of the most powerful forces of destruction, tearing down trees and allowing grassland to move in. As harbingers of both plant life and death, elephants create what Wittemyer calls "habitat mosaics." Instead of a uniform blanket of woody bush or old forest, elephants weave environments into a patchwork quilt that moves from forest to grassland and back. (Black rhinos, likewise, are particularly good at chomping down thorned plants other animals can't stomach.) This ecological tide allows for a much richer diversity of species than would be possible otherwise. A 2009 study found many more lizard species, for example, in areas where elephants had damaged trees. Biologists have a phrase - "a trophic cascade" - for what happens after the populations of elephants and other keystone species are altered within an ecological community. If the term evokes a waterfall, or a series of falling dominoes, it's an apt metaphor. "Remove a cog in the network," Wittemyer says, "and the network is going to shift around." Without vultures or other scavengers to eat meat festering in the sun, for instance, it's possible that the incidence of disease could increase. That poaching has such far-reaching impacts emphasizes the need for patrols in Africa's national parks and protected areas, Bell says. "Increased efforts to protect elephants results in increased protection for other species, too," he says. "In this sense, elephants are flagships for conservation, leveraging funding which goes far beyond just protecting elephants."